The Riverside Historical Society began its formation in early 2017, under the leadership of Bennie B. Thompson. It wasn’t long before consultations were held with Communications Director for the Southern Union Conference of the Seventh-day Adventist Church, R. Steven Norman III. Norman traveled to Nashville to conduct seminars with the small group of history buffs, eager to learn “How to Research and Write the History” of the Riverside Chapel Seventh-day Adventist Church, whose rich legacy of health and wellness, medical treatment, education, music, and more extends not only to black Adventists across the country but also the Nashville community. 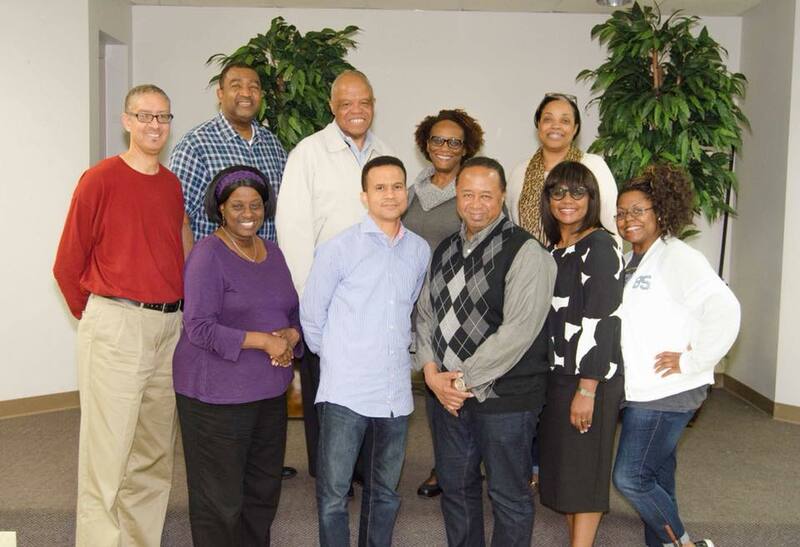 Those who attended the seminars along with Thompson, to create the vision for archiving Riverside’s history, included Ricky Benson, Earl V. Campbell Jr., Hope Campbell, Pastor Furman Fordham II, Michael Hubbard, Sharon D. Johnson, Carolyn Lightford, Melvin Lightford, Karen Lightford Lee, and Myla McCoy. By the summer of 2017, the society had begun recording video and audio interviews with individuals—such as Lois McDonald Bernard, whose parents, William Herbert and Grace McDonald, were among the twenty-five who made up Riverside’s charter membership—whose roots are planted deep in the establishment of the Riverside Chapel. The Riverside Historical Society has also been privileged to receive various memorabilia from its church family to help with the documentation of the church’s past. Each passing week, the members of Riverside continue to write our church’s history, whether we have worshipped here and grown in God’s grace through fellowship with him and our brothers and sisters within the last year, the last ten years, or the last seventy years. The Riverside Historical Society exists to encourage the collection and preservation of artifacts and documents relating to our history as well as the telling of our individual stories and our collective story as a church. Furman F. Fordham II has been the senior pastor of Riverside for the last ten-and-a-half years. He has led the six-hundred-plus members in new directions and greater understanding of spiritual things. It is with his encouragement to GO, to tell your story of what Jesus has done for you, that the Riverside Historical Society exists to tell what great things God has done through Riverside Chapel, to recognize and appreciate those on whose shoulders we stand, to observe and experience how God leads still, down by the riverside. The Riverside Chapel Seventh-day Adventist Church grew from the Riverside Sanitarium, the first black Seventh-day Adventist medical facility, founded in 1901. Under the direction of Nellie Druillard, the sanitarium expanded to a hospital in 1927. A chapel for the sanitarium staff was the last of the original frame structures on the Youngs Lane campus that Druillard erected. It had a seating capacity of about 30. In 1945, the chapel was formally organized as a church. Charles M. Kinny, the first black minister ordained by the Seventh-day Adventist Church, was Riverside’s first pastor. He was known to be the pioneer of the black (Regional) conference concept. He passed away at the Riverside Sanitarium; he was ninety-six. Under the leadership of Eugene Carter, a brick chapel was constructed in 1956; the membership at that time was between forty and fifty, including children. It was during Xavier Butler’s sixteen years of pastoral ministry at Riverside that the vision was cast for the current church structure, built between 1992 and 1995. The former brick chapel was destroyed by fire in March 2001. More footage here. 1. It is the record and witness of God’s saving ministry in our congregation and city. 2. It preserves the story for our children. 3. It is the record of our service to the community. 4. It helps to avoid repeating the mistakes of the past. 5. It provides encouragement as we face the future. Please visit our page often for updates and announcements.